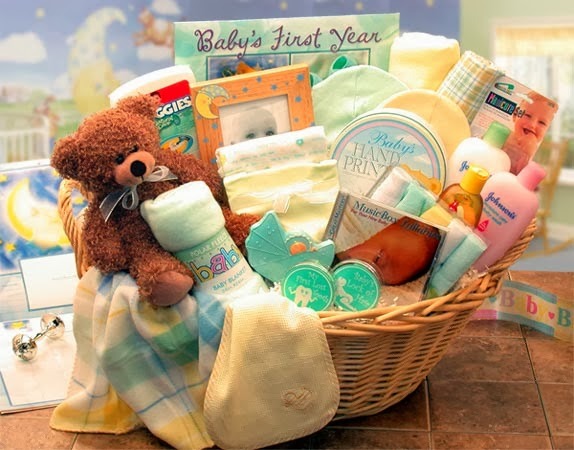 I love Labellabaskets they have some of the nicest items around. They also have everything you can think of in one place. And now with the holiday season approaching you can go to this site and find something for everyone. Available in Blue, Teal and Pink. We choose the teal one we love this basket and can't wait to use it for our third child. We choose the teal one because it is gender neutral and that would be perfect for that person who isn't finding out the gender of their baby. This basket retails for $124.99. Another great item I was able to review from labella Baskets was the Summer Fun Cookie Bouquet this basket was so pretty when I got it and packaged well I didn't want to eat it and mess it up. But I am a sweets person and couldn't resist this would be a perfect gift if you know someone like me who loves sweets. Of course I didn't eat these by myself I had the help from my kid's and they loved them too. It is just a basic sugar cookie and mine came with all the cookies except the sail boats. Here is what ours looked like look how colorful and beautiful it is. Now do you see what I mean about not messing it up?? This one is actually geared toward summer and now that summer is gone I guess this wouldn't fit but, they make all kinds of bouquets for all kinds of holiday and seasons and now is the perfect time to check it out with the holiday season fast approaching. 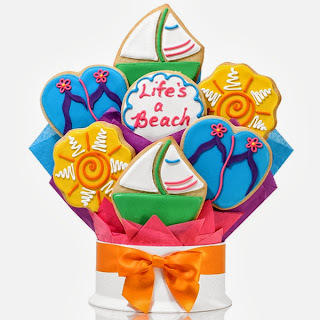 Just in time for summer, this festive cookie gift bouquet is perfect anytime the weather is warm - or you just wish it was! Best of all, the center cookie can be personalized with your own special message. Enjoy the summertime with our sailboat, flip flop and sunshine shortbread cookies - all decorated by hand with our delicious and colorful royal icing by cookie experts who send out only their finest! Note - This item includes a personalization option: Center Cookie Message (e.g., Personalized Message) (Free of charge). You may specify this information during our checkout process. If you are looking for that perfect gift for this holiday season you need to check out Labella Baskets!! This particular cookie bouquet is 49.99. They loved these cookies. These would be really nice for a Birthday Party. Or for the Holiday Season as a gift. Thanks for the nice review on La Bella Baskets. I am a Consultant at Gift To Remember By La Bella Baskets and we do have everything you can think if for every occasion. Just Ask Me! !